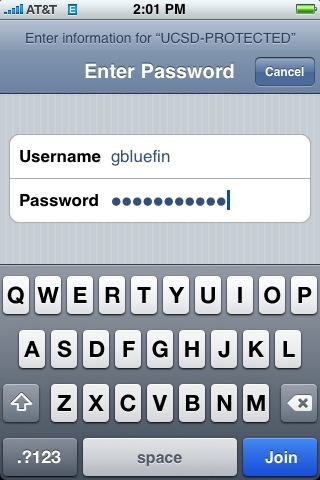 Follow these steps to set up your iPhone/iPad/iPod Touch 4-6.x to use WPA2-E encrypted wireless at UCSD. 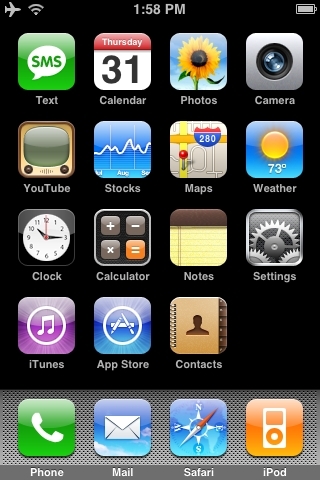 An iPhone/iPad/iPod Touch with at least version 4.x firmware installed. 2. 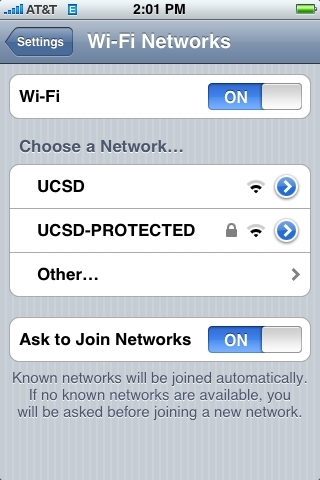 Select the UCSD encrypted wireless service. Set your Wi-Fi to ON if you haven't already done so. In the Username field, enter your Active Directory username. In the Password field, enter your Active Directory password. 4. Accept the UCSD certificate. 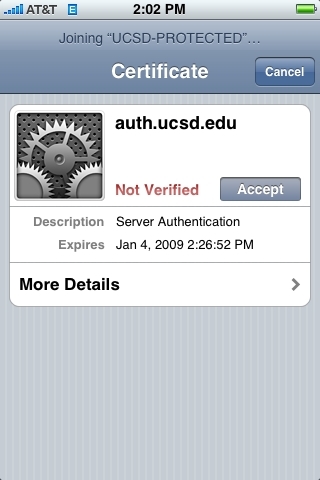 When prompted, select Accept to accept the UCSD certificate. You will receive a certificate of either auth.ucsd.edu or dhcp2.ucsd.edu. You should now be connected to the UCSD encrypted (WPA2-E) wireless service.